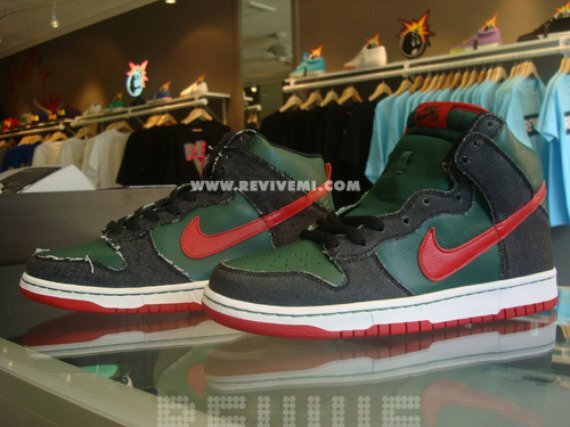 Not too long ago, we broke news that Nike would be releasing a Gucci inspired Nike Dunk High Supreme Spark, but it seems as though a Dunk High Pro SB will actually release instead. 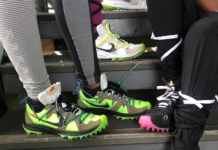 Though that is probably music to most sneakerheads’ ears, there is still no confirmation from Nike on which style will drop. Whatever the case may be, this Dunk High SB hosts a green upper accented by a red swoosh, denim paneling, a white mid-sole, red out-sole, and black laces. 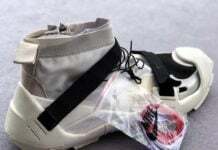 Compared to the ultra-limited 2005 Nike Dunk SB High Gucci, this pair hosts smoother denim, a black heel tab rather than a red heel tab, and less denim ridges. 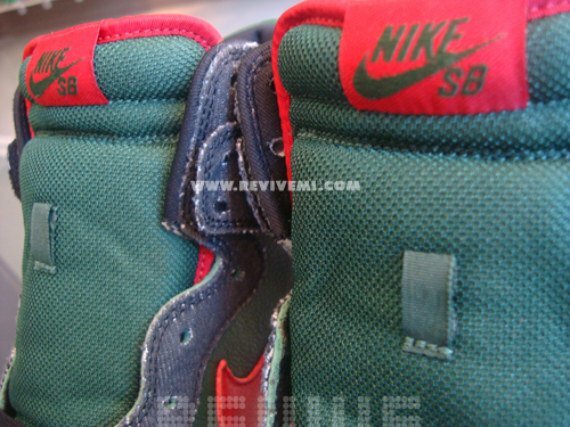 Please note that this pair is only a sample, and changes may be made before the Nike Dunk High Pro SB Gucci releases later this year. 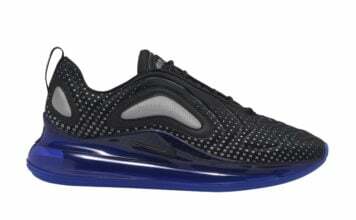 These are very fresh and clean. still looks good to me. 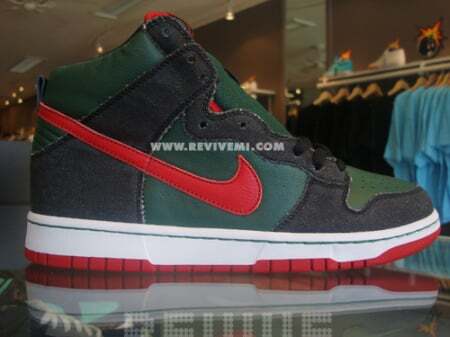 this will be one of the few SBs i cop this year. 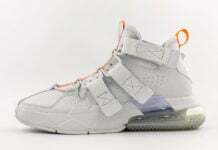 f what u heard i copped a pair of these from tycoonkicks.com for da low!! 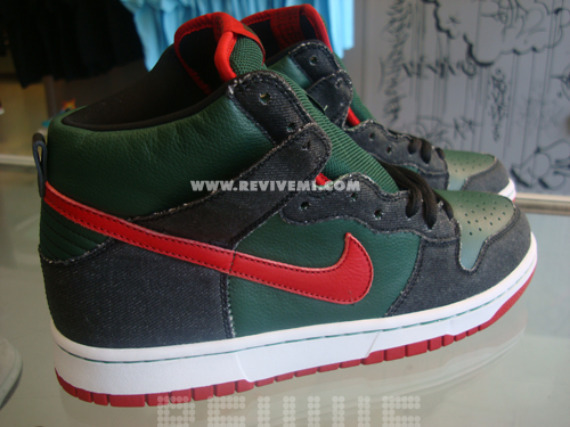 I would love to see these as a SB low. F*** it just make your own ridges. even the Off can SBs looked hot!! !